Mayor Noel Larkin, will announce the finalists of Gradam Sheosaimh Uí Ógartaigh 2017 at 11.30 am, next Tuesday, April 11 at a press event which will take place in the Eyre Square Centre, Galway. 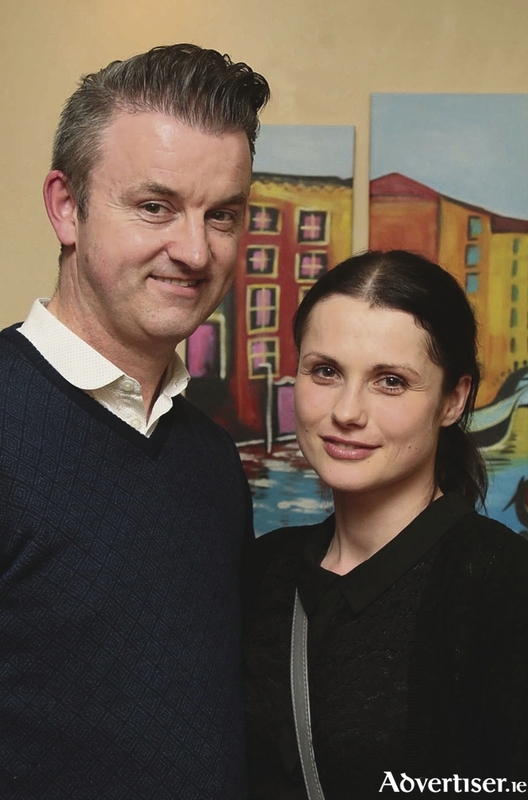 Last month, Gaillimh le Gaeilge, which has been running the Gradam for the past 15 years in association with the Galway Advertiser, unveiled the 18 businesses in Galway city that have put themselves forward for this year’s award. Minister for the Gaeltacht, Seán Kyne TD will announce winners of Gradam 2017 at a special awards ceremony on May 15 which will mark the pinnacle of Gaillimh le Gaeilge’s celebrations of 30 years in business. “We would like to give a special fáilte to the 14 businesses that have entered the Gradam for the very first time this year. This year’s Gradam also features a diverse range of businesses in both size and sector. “It is great to see that they feel that the Irish language has a place in their business and is something that are proud to promote. Moltóirí Gradam Sheosaimh Uí Ógartaigh will meet for the first time this week with the difficult task of choosing the finalists for Gradam 2017. They are; Professor Ciarán Ó hÓgartaigh, Dean of UCD School of Business, Clíona Ní Mhurchú, Regional Manager, Top Oil, (Winners of Gradam Sheosaimh Uí Ógartaigh 2016 ), Tony Barrett, Director, WESTBIC and Sonya Nic Lochlainn, Corporate Services Manager, Údarás na Gaeltachta. The main media sponsor is once again the Galway Advertiser; the company has been proud to support the Gradam since its inception in 2002. TG4 became a sponsor for the first time last year and both media organisations are providing an advertising package for the winner. The category sponsors for Gradam 2017 are : Galway Bay FM, Fáilte Ireland, Snap Galway and Acadamh na hOllscolaíochta Gaeilge, Ollscoil na hÉireann, Gaillimh. Údarás na Gaeltachta, ARÓ and the Galway Chamber will also provide sponsorship to the overall winner. Míle buíochas leo go léir! All of the Gradam nominees will receive substantial publicity throughout the Gradam campaign and the overall winner will recieve the prestigious title as the 15th Tribe of Galway for the year ahead. Bar SULT, Clayton Hotel Galway, Maxwells Restaurant, The Connacht Hotel. Carey Developments, Galway Arts Centre, Galway Races, Micil Poitín, PorterShed, Siopa Leabhar Uí Chionnaith.